Mercy Crest Assisted Living provides quality care to the elderly or disabled residents who reside on the beautiful 20 acre campus in Barling Arkansas. With 102 private apartments, including one bedroom, two bedroom and studio, where residents are free to decorate with their own furniture, photos, and keepsakes making it a home. Mercy Crest provides round the clock licensed nursing and certified nurse’s assistants to ensure that our residents have the best care. The Director of Clinical Care performs resident health assessments, develops resident service plans and collaborates with the care team to manage chronic health conditions. Our clinical staff assists residents with medication administration, coordinating care with their physicians and home health providers, provides support with activities of daily life and maintaining independence. We have a Restorative Nursing Program that allows residents to remain active and safe in their home. 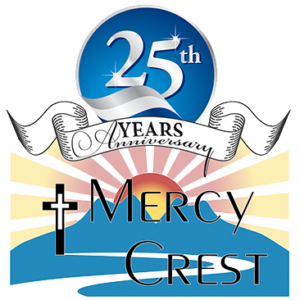 Mercy Crest has a wide variety of recreational activities including Bingo, Bean Bag Baseball, movie nights, Shuffleboard, various card and board games, outings and holiday parties. Our Dietary Manager and staff, provide three wonderfully prepared restaurant quality meals each day. Holiday meals and parties are especially exciting events. Through individualized service plans, our dedicated team members are able to customize every aspect of resident care to allow each resident independence and quality of life, based on personal choice and preferences. Assistance with Activities of Daily Living – Dressing, Bathing, etc. Emergency Call System – Assistance is available with the pull of a cord. Coordination of Healthcare Services – Just in case you might need some therapy. Restorative Aid Program – helps residents recover their physical health by providing rehabilitation care. A certified nurse assistant who has specialized training in restorative care helps residents increase their strength and mobility.